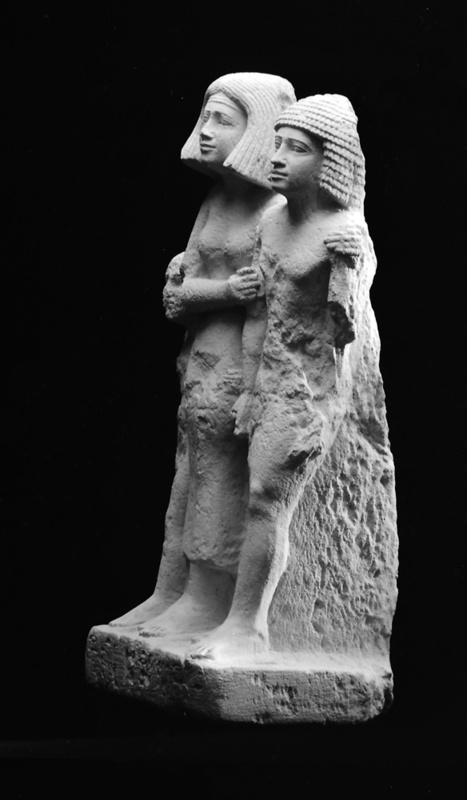 Martin-Pardey, Eva. 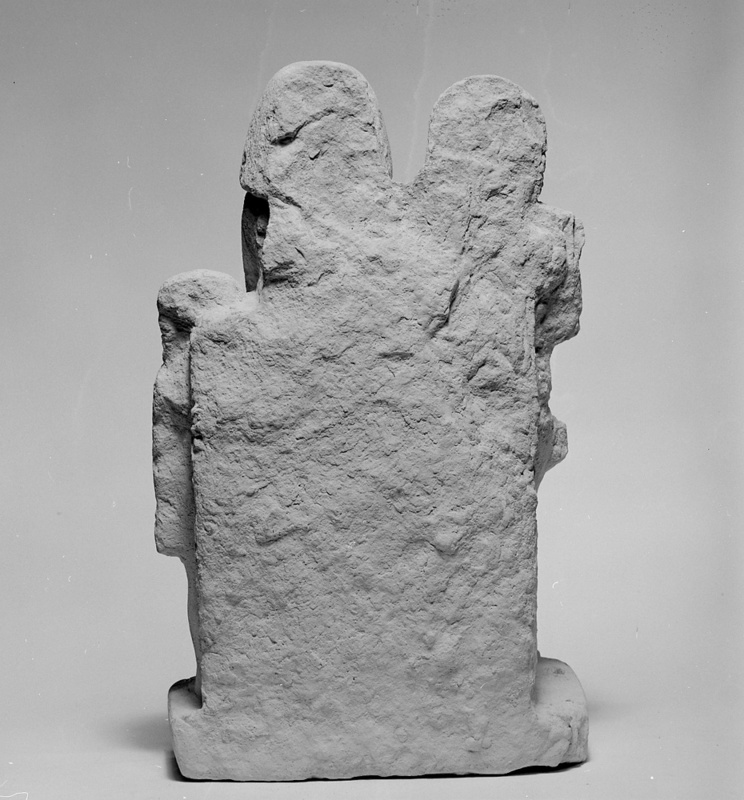 Plastik des Alten Reiches. 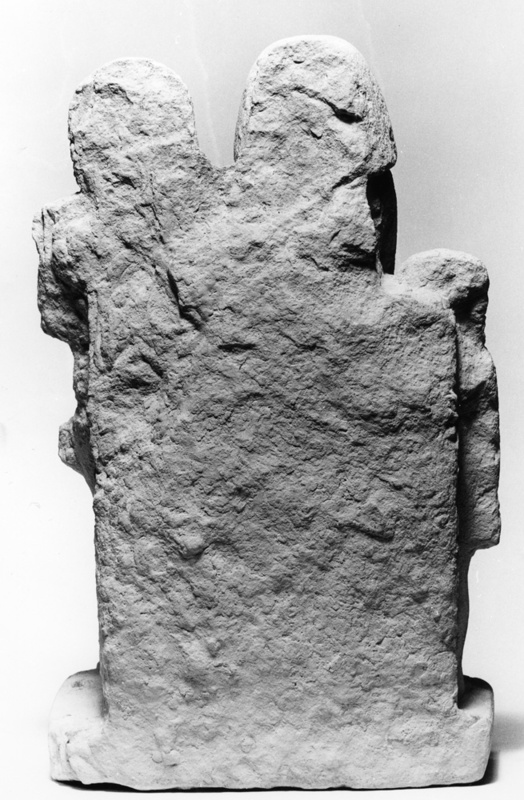 Teil 1. 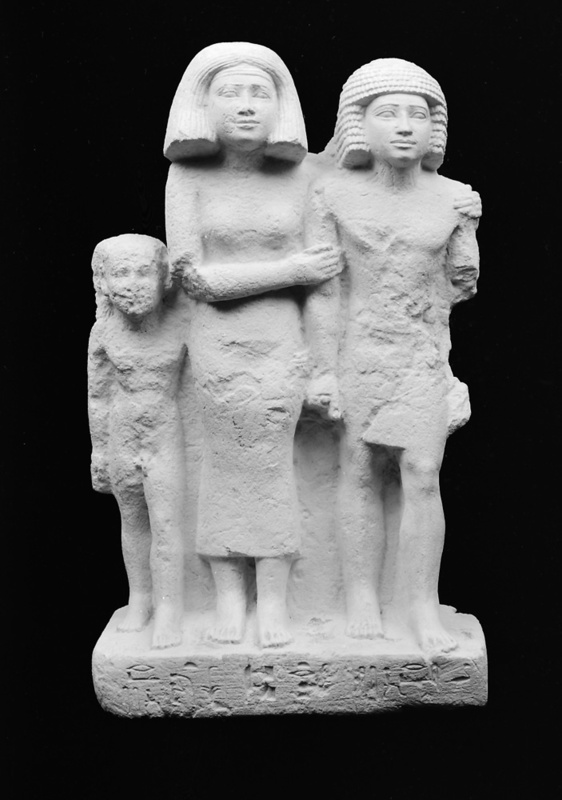 Corpus Antiquitatum Aegyptiacarum. 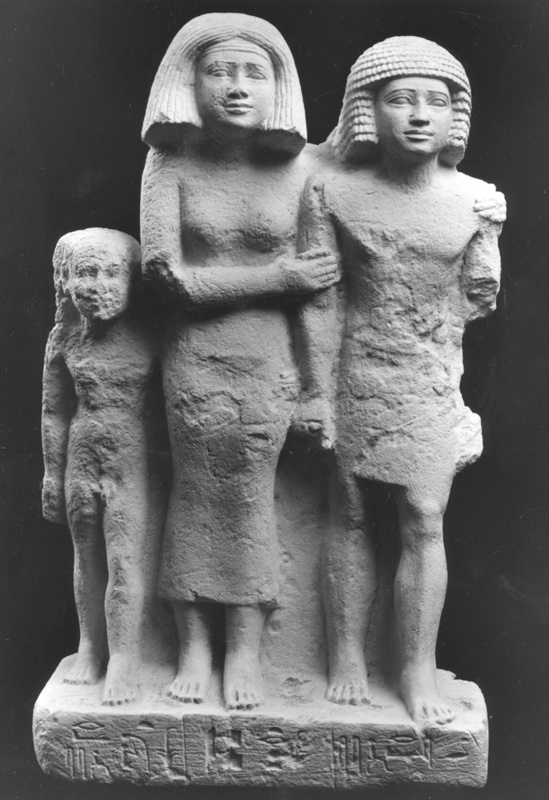 Pelizaeus-Museum Hildesheim, Lieferung 1. 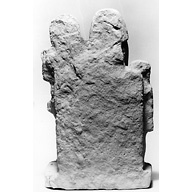 Mainz am Rhein: Philipp von Zabern, 1977, pp. 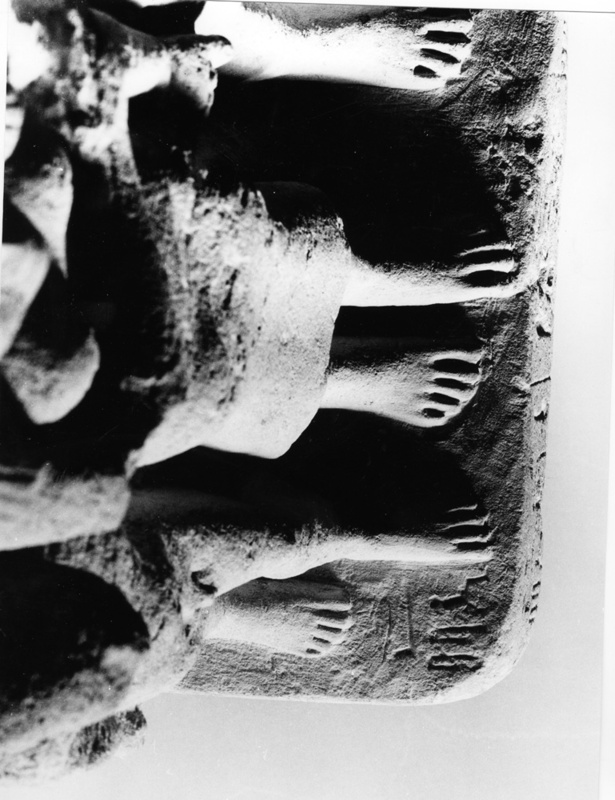 39-46. 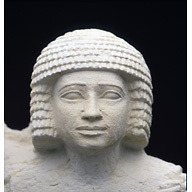 Remarks Owner (?) of D 23. 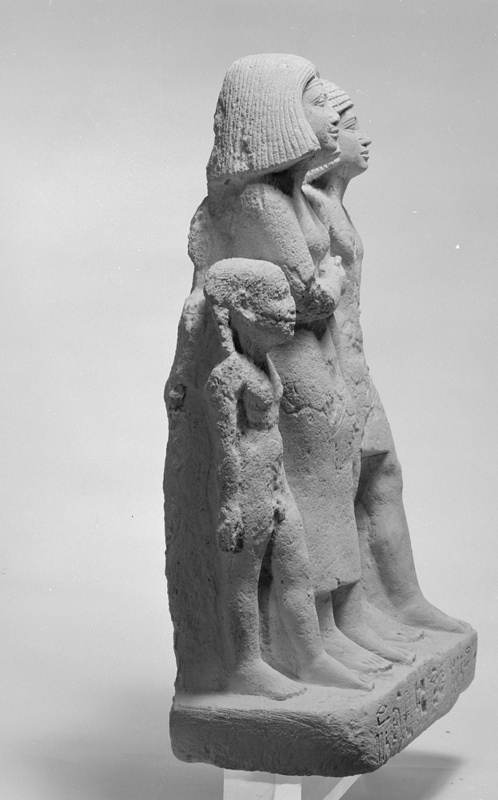 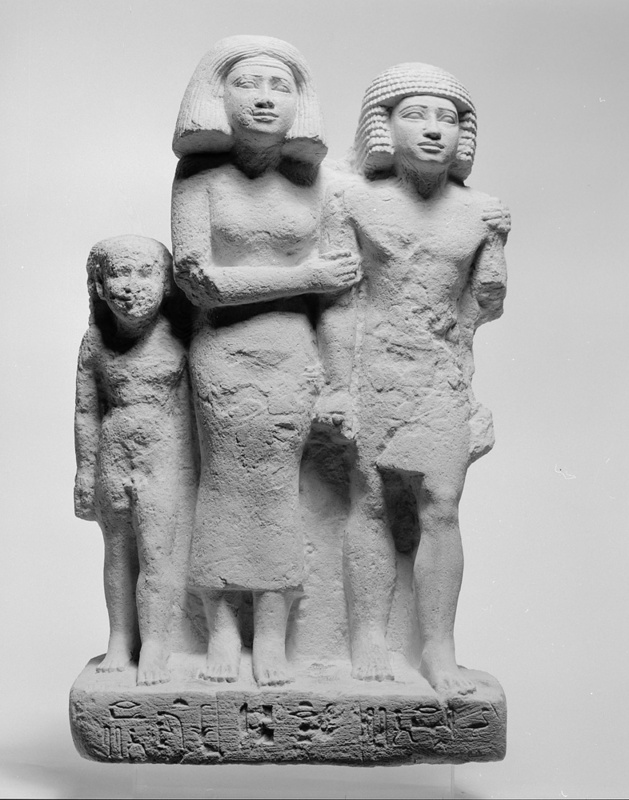 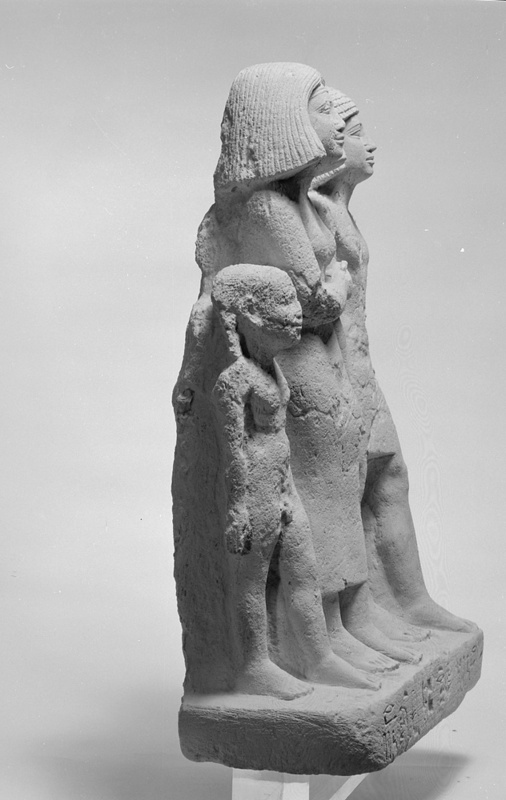 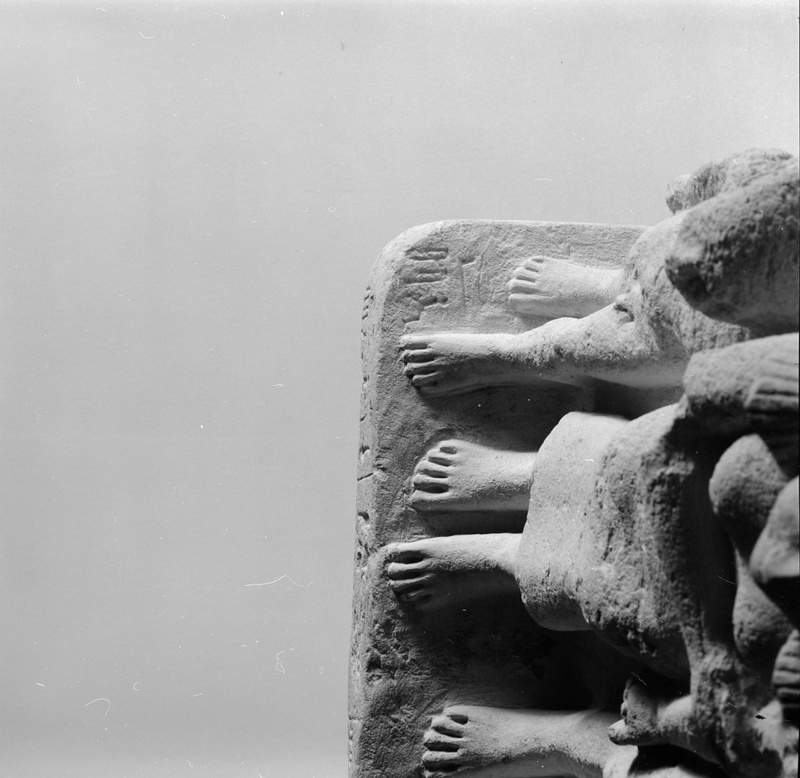 Limestone standing group statue (Hildesheim 17) of Pepi and two male figures (her sons ? 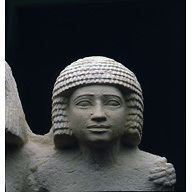 ), both named Rashepses; Pepi identified as [rxt nswt] royal acquaintance; found displaced in D 23, shaft 5. 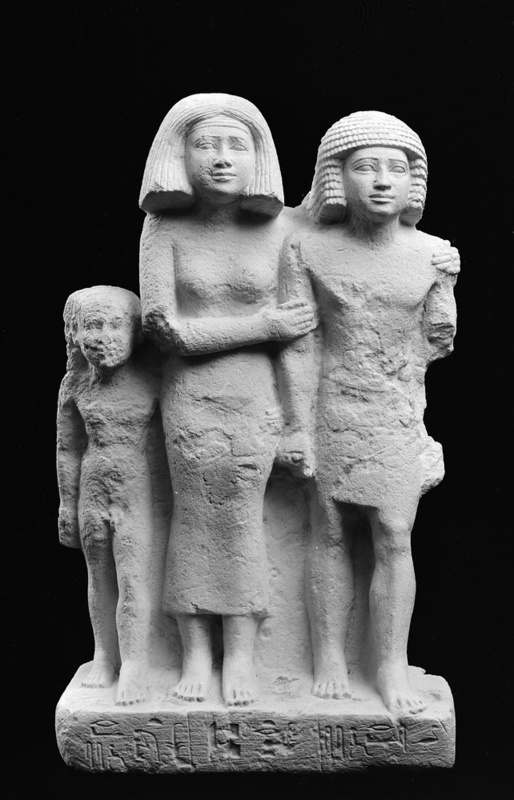 There are three possibilities as to who is actually represented in this statue: 1) Rashepses, his wife Pepi, and their son Rashepses. 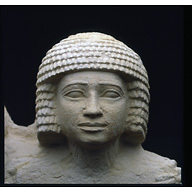 If this is true, then the craftsman who inscribed the piece switched the two Rashepses inscriptions, labeling the man as [sA=s raSpss] "her son Rashepses" and the boy as [wab nswt raSpss] "royal wab-priest Rashepses". 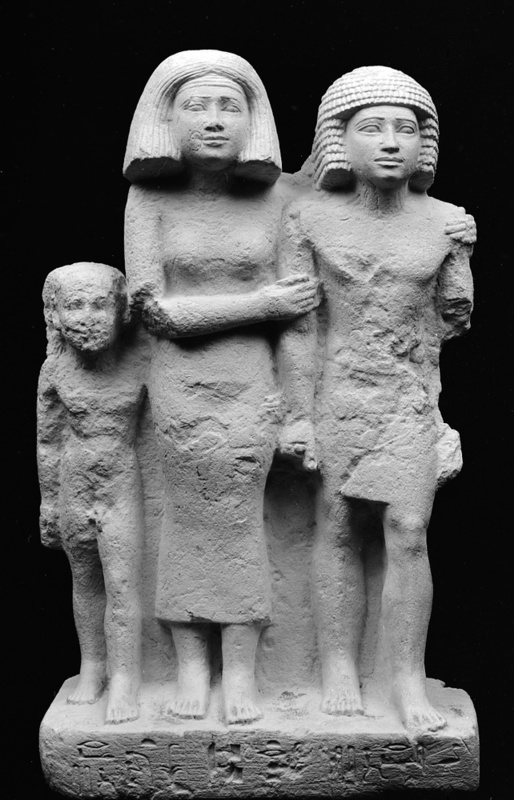 This seems unlikely because the focal point of the group (the central, largest figure) is clearly Pepi, which would be quite unusual in a normal family statue. Also, the son is labeled "her son", not "his son" or "their son". 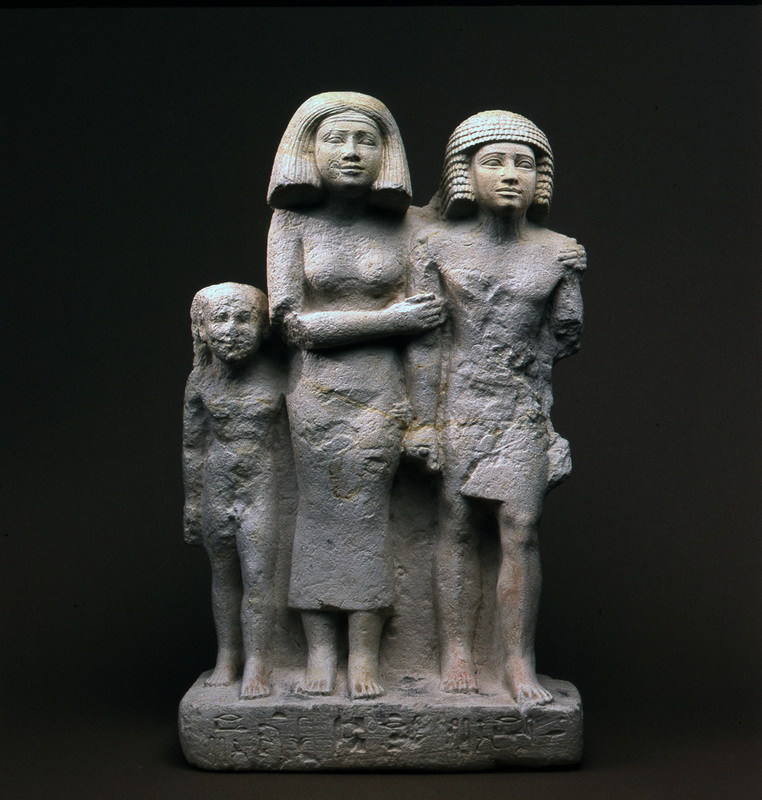 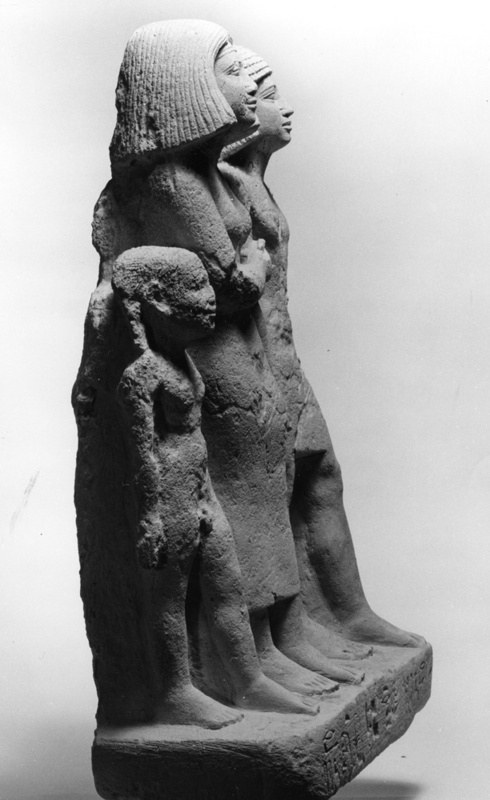 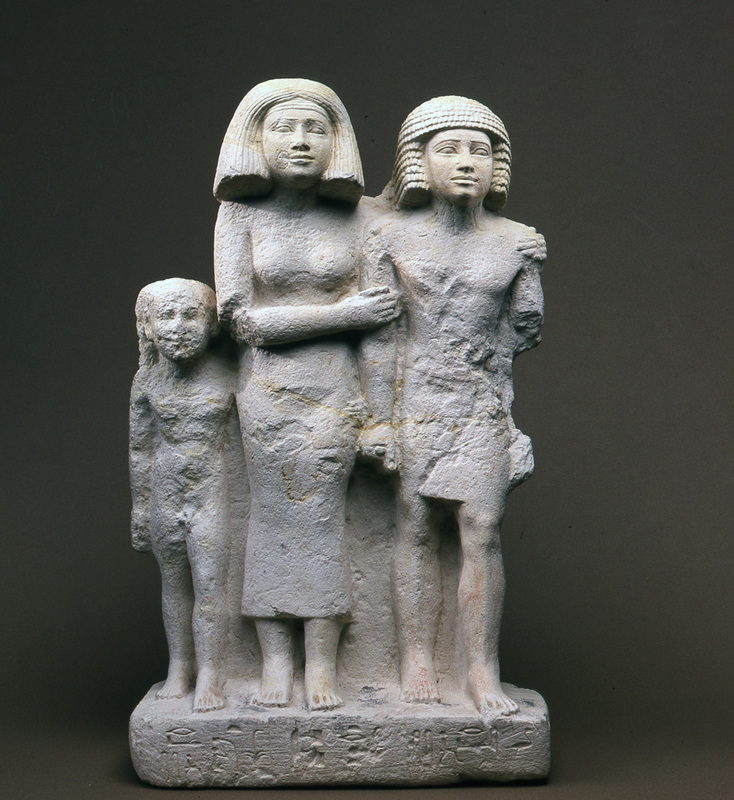 2) A so-called "pseudo-group", representing Pepi with her son Rashepses who appears twice at different ages. 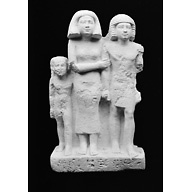 If this is the case, then the labels are more understandable; as a small boy, his size, nakedness and side lock all indicate that Rashepses must be the son of a nearby adult (i.e. Pepi) without it needing to be spelled out. 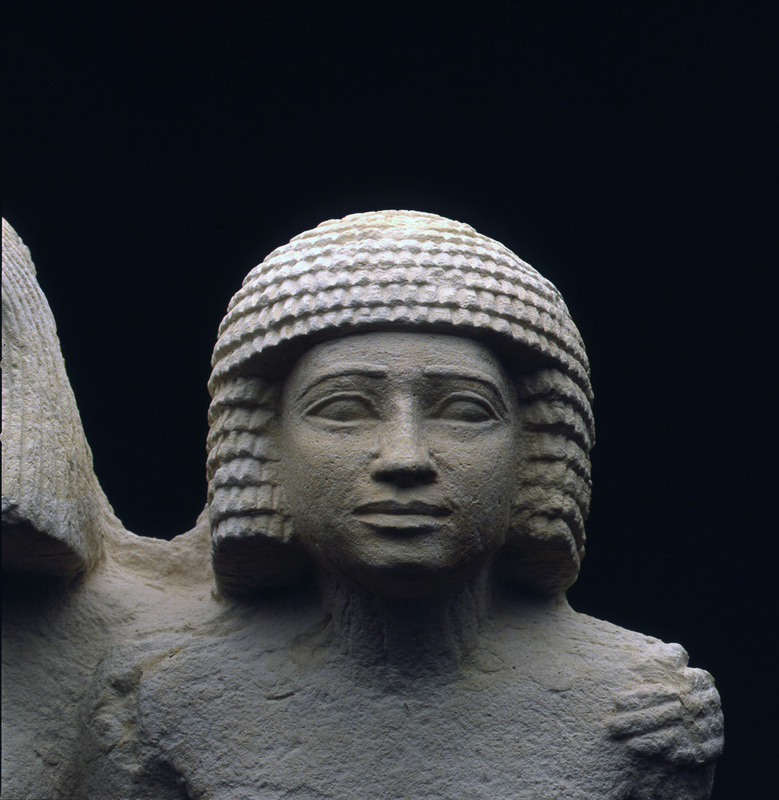 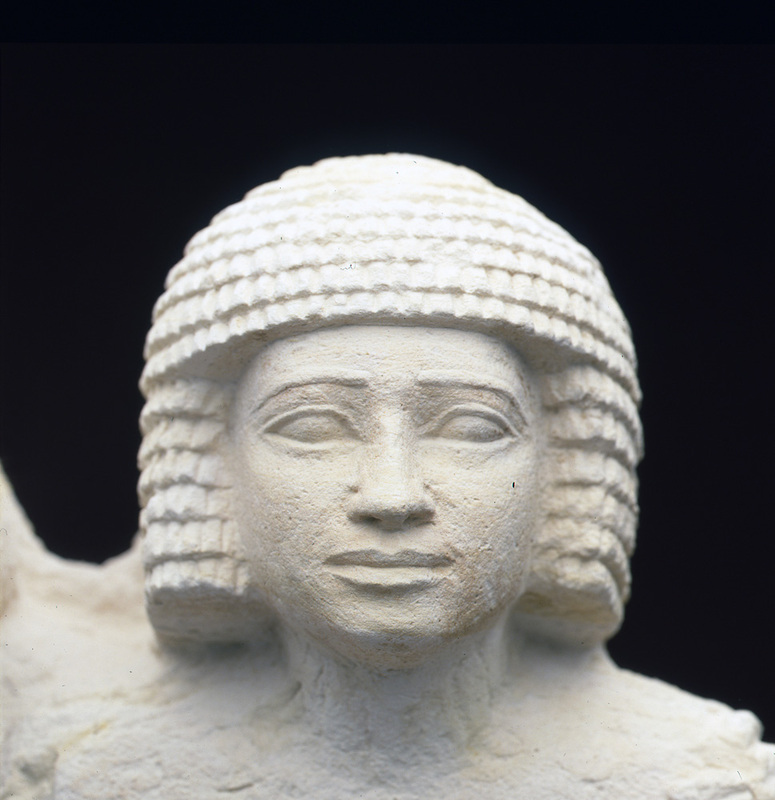 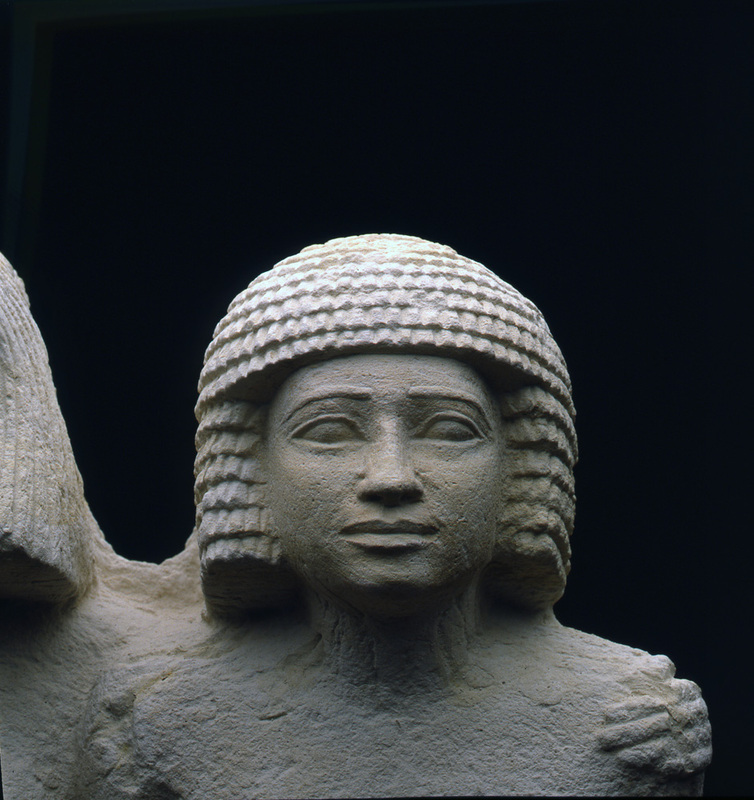 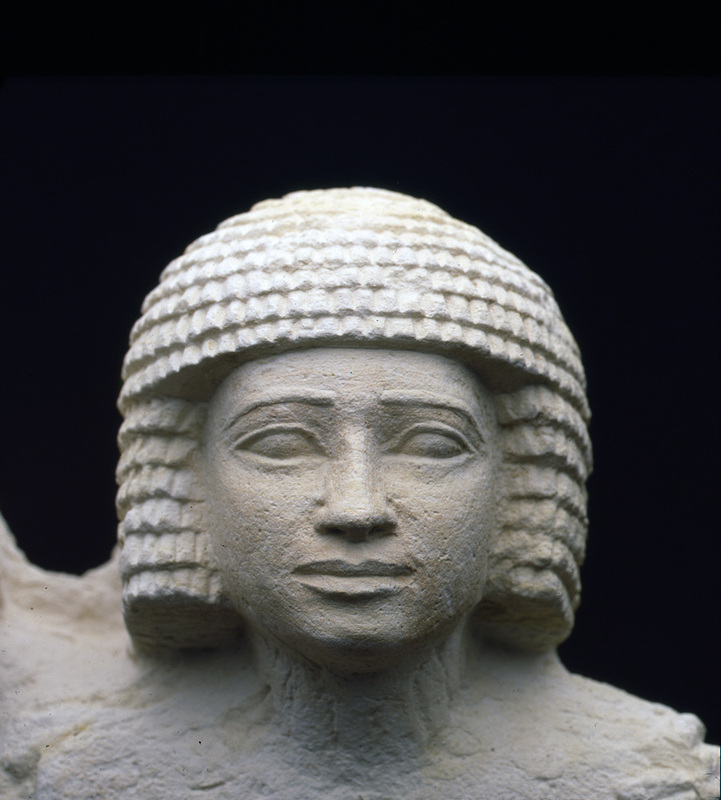 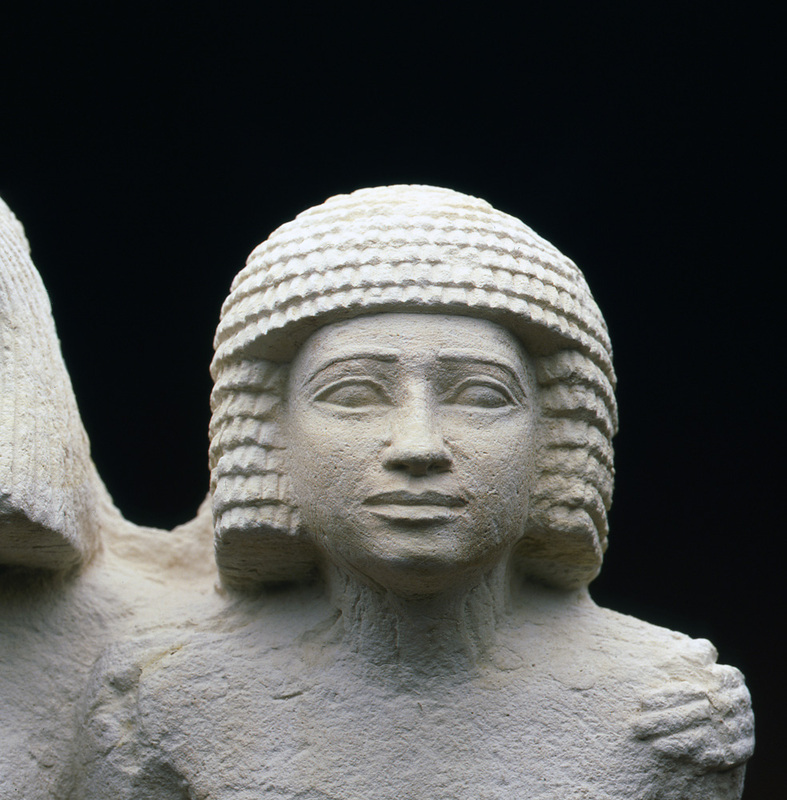 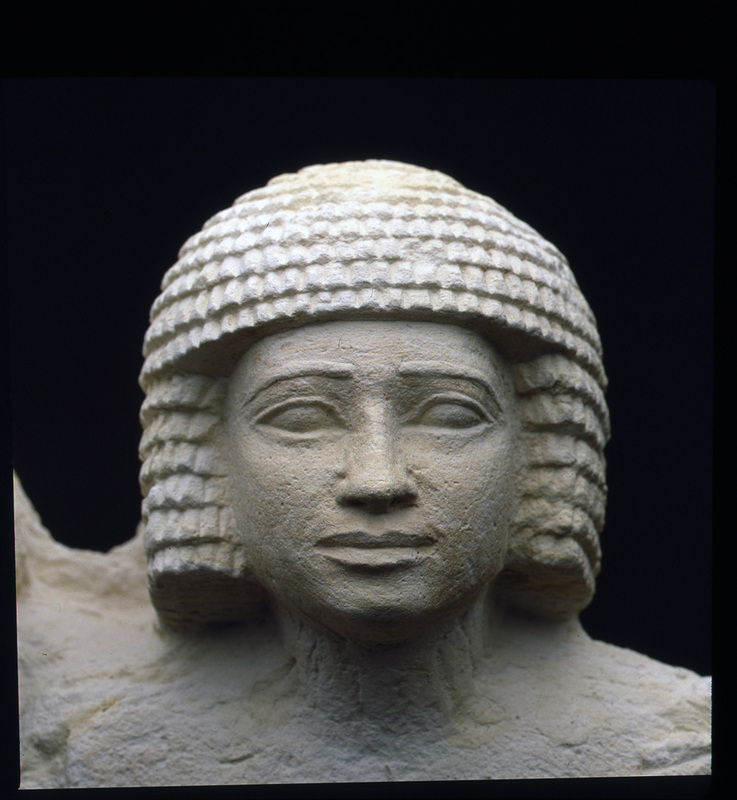 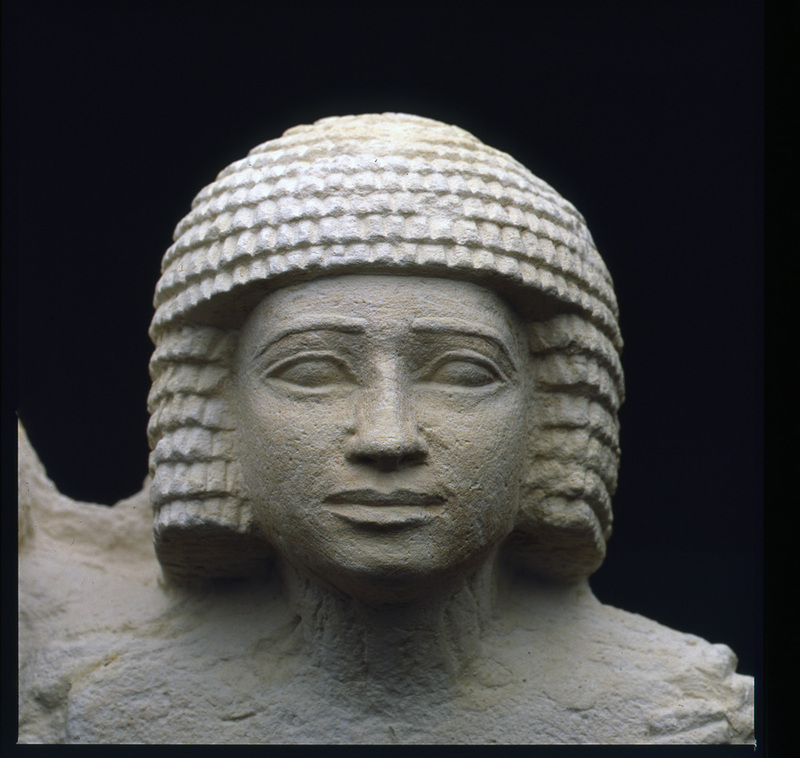 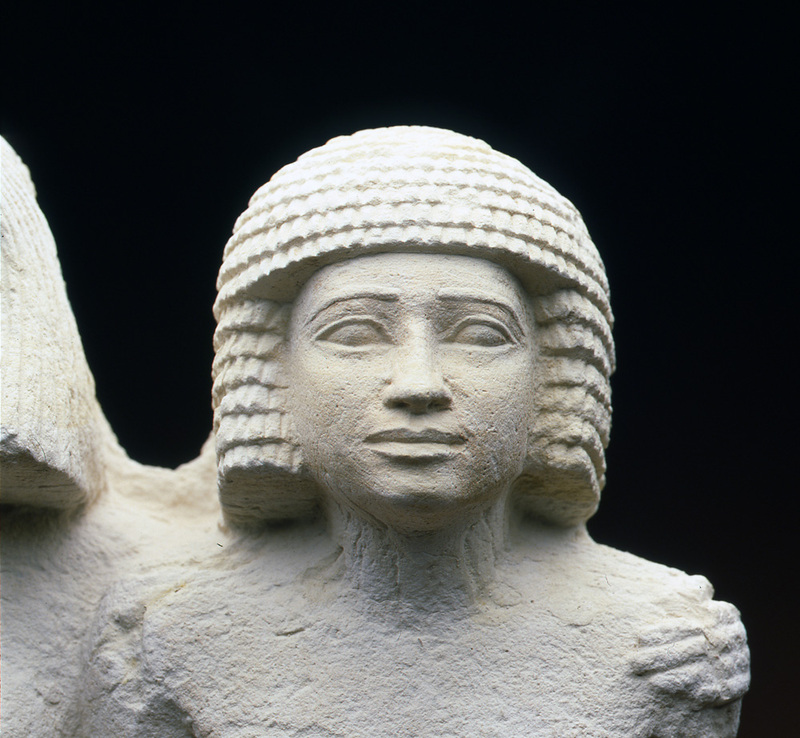 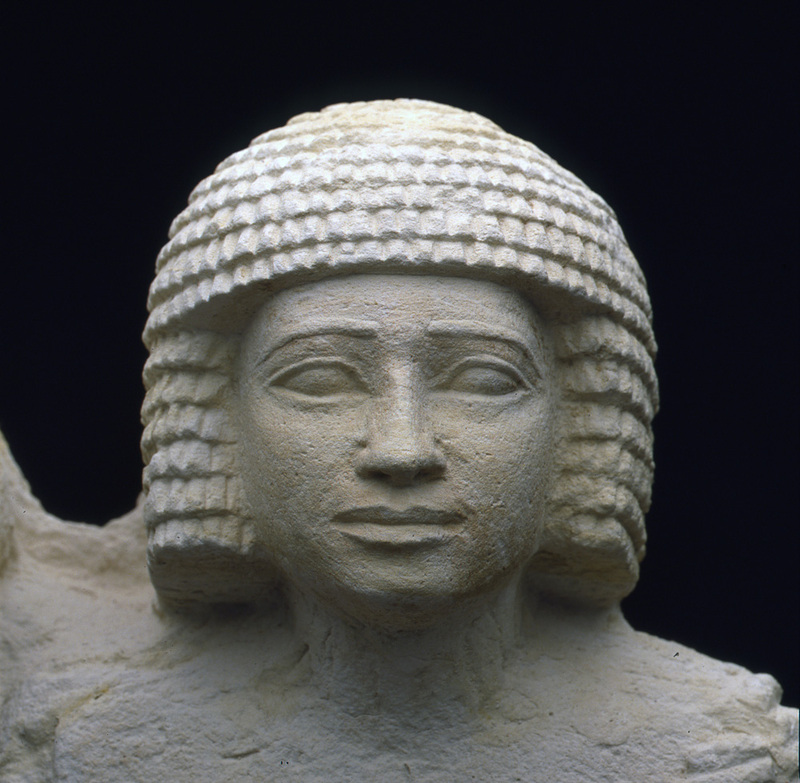 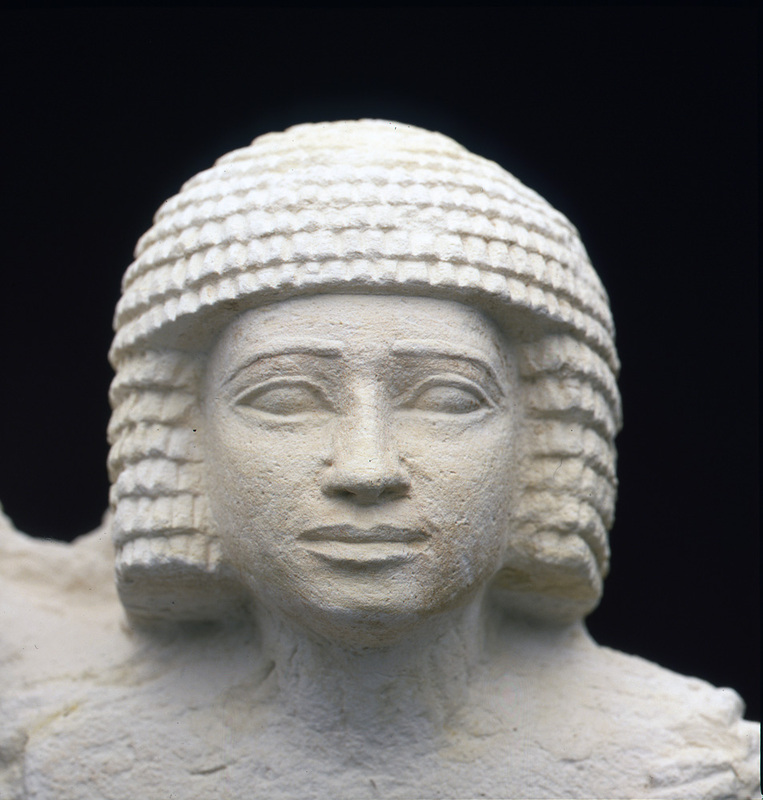 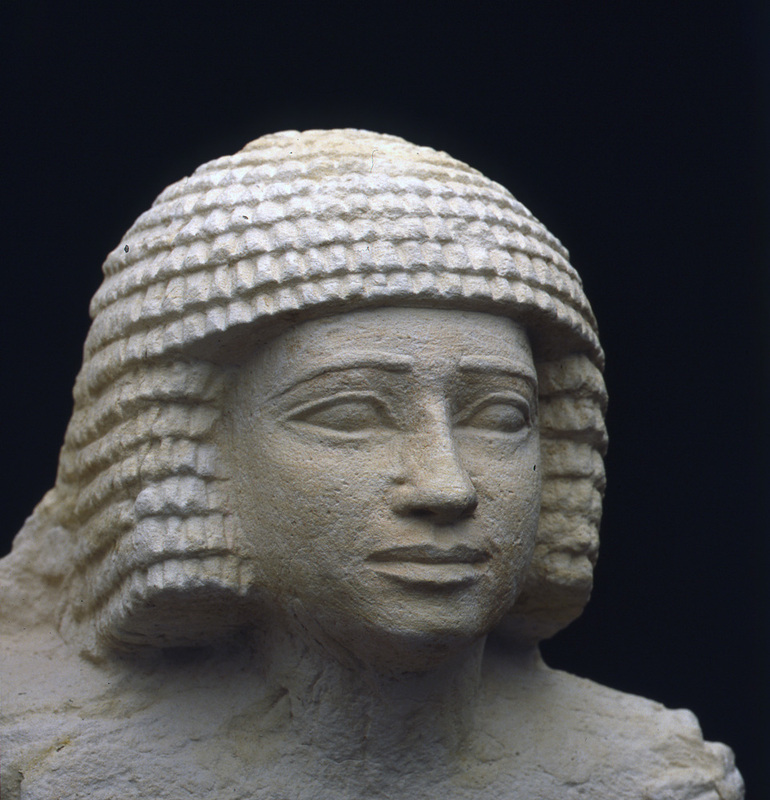 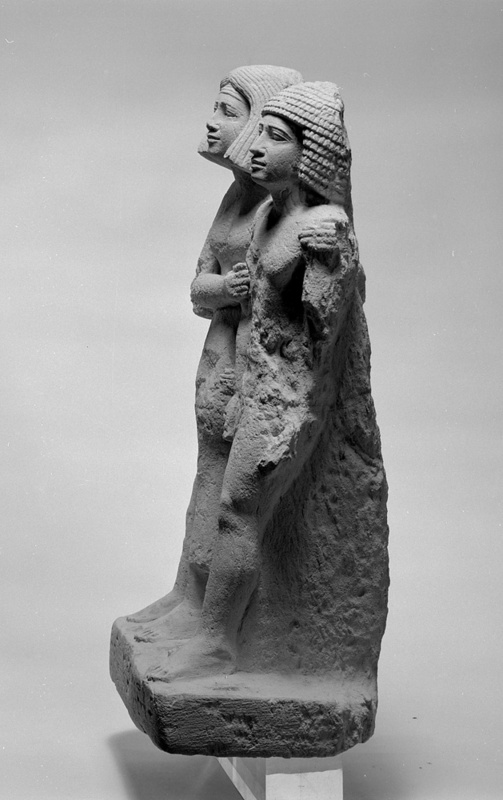 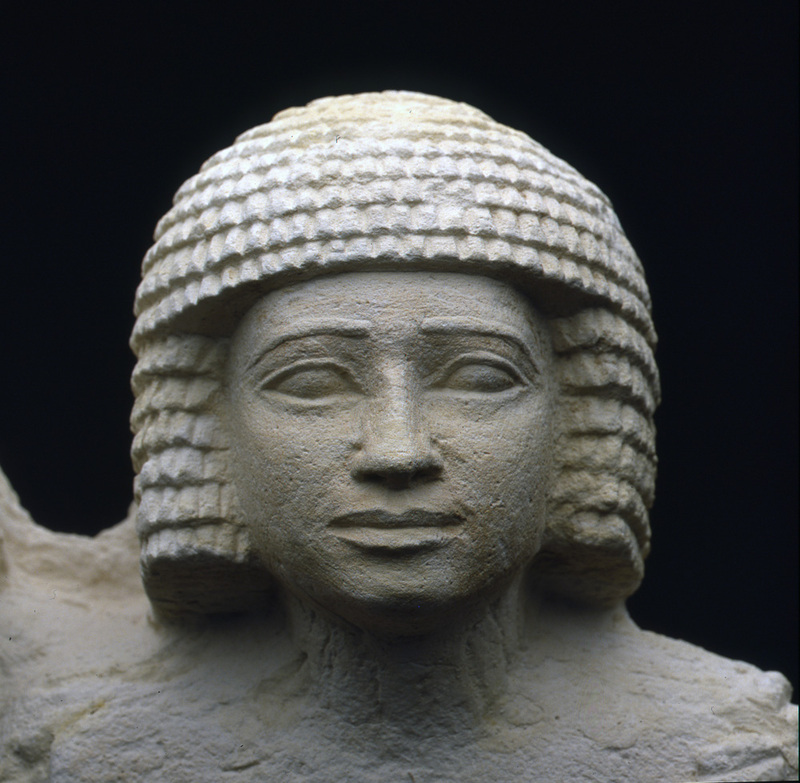 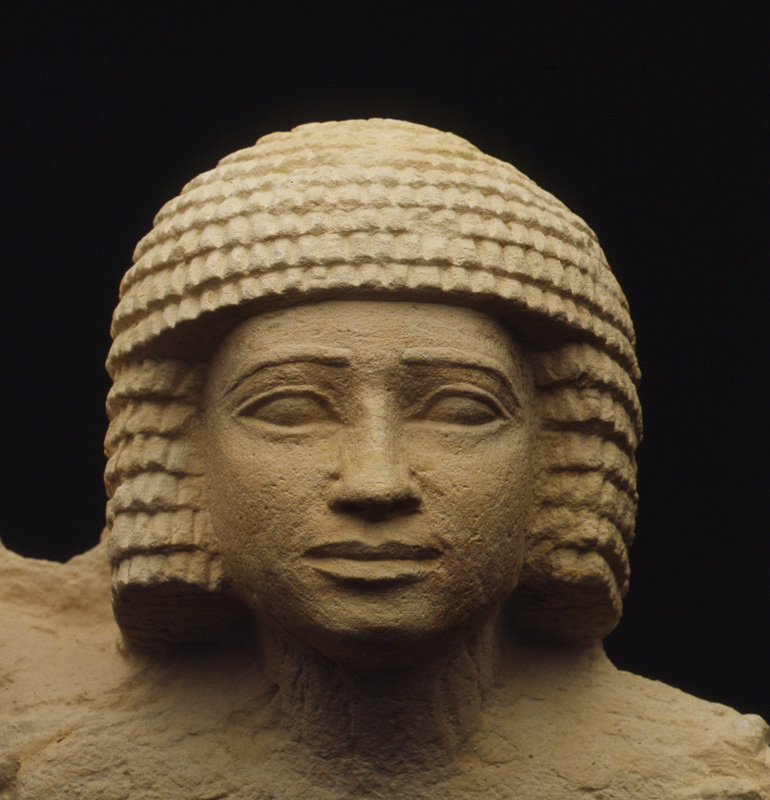 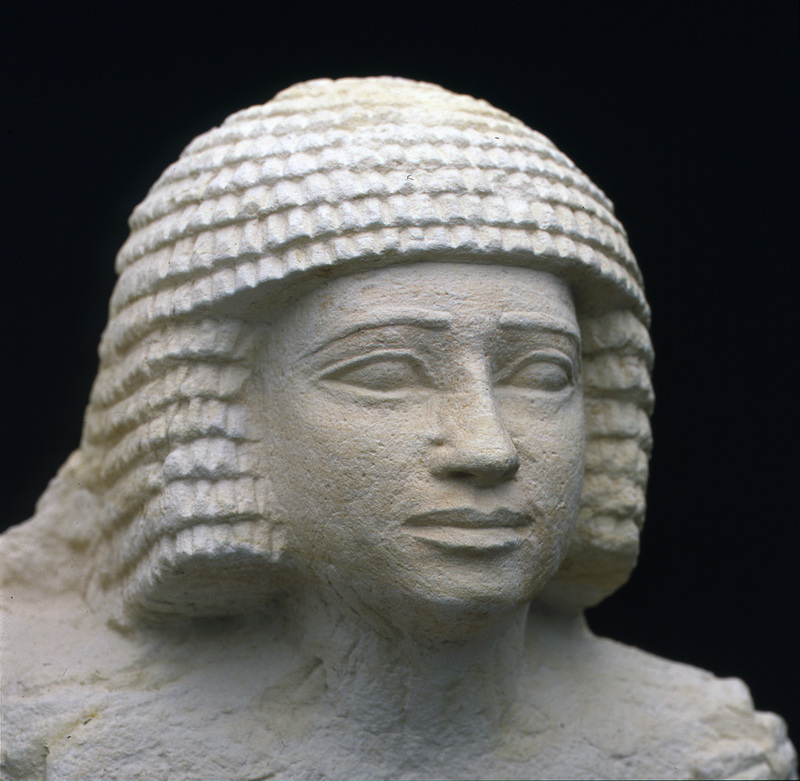 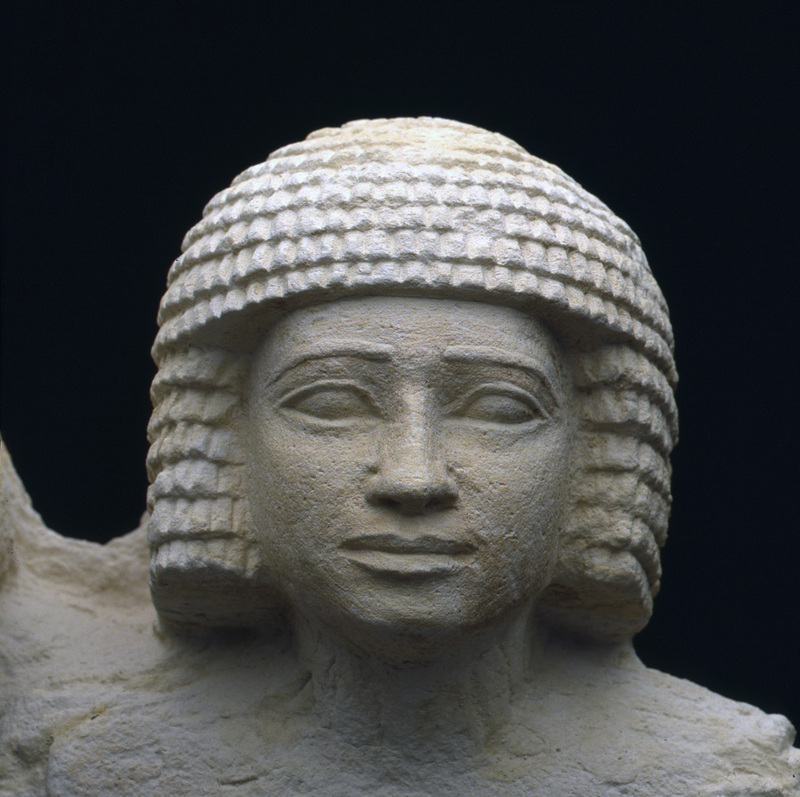 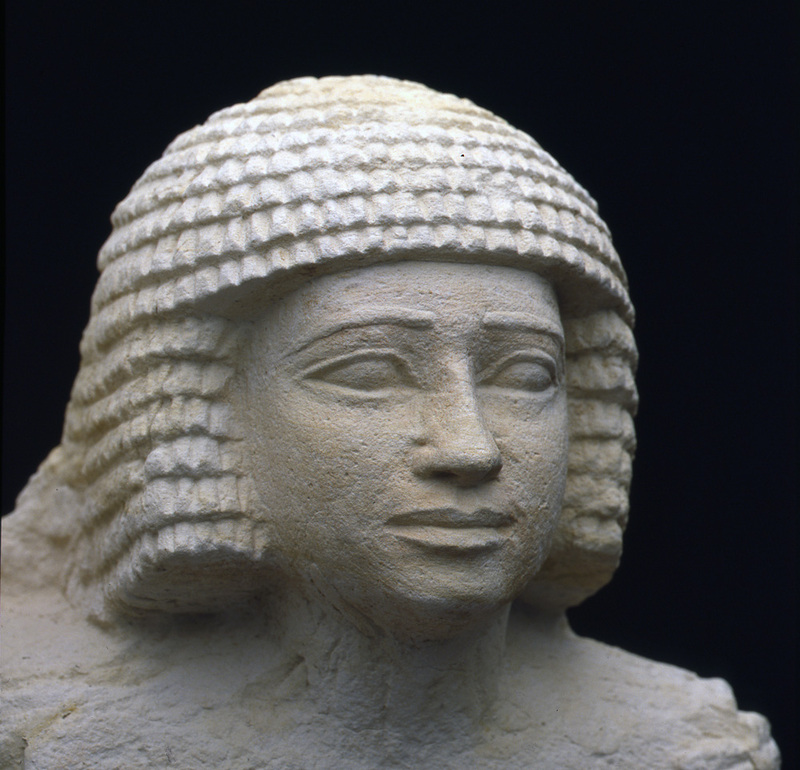 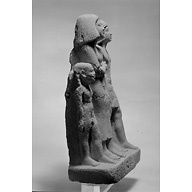 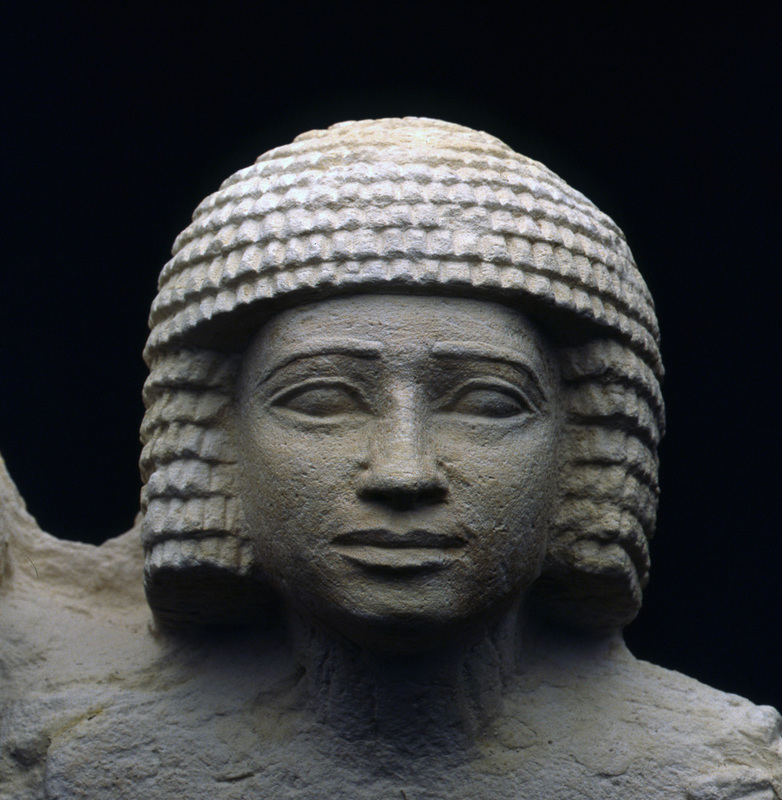 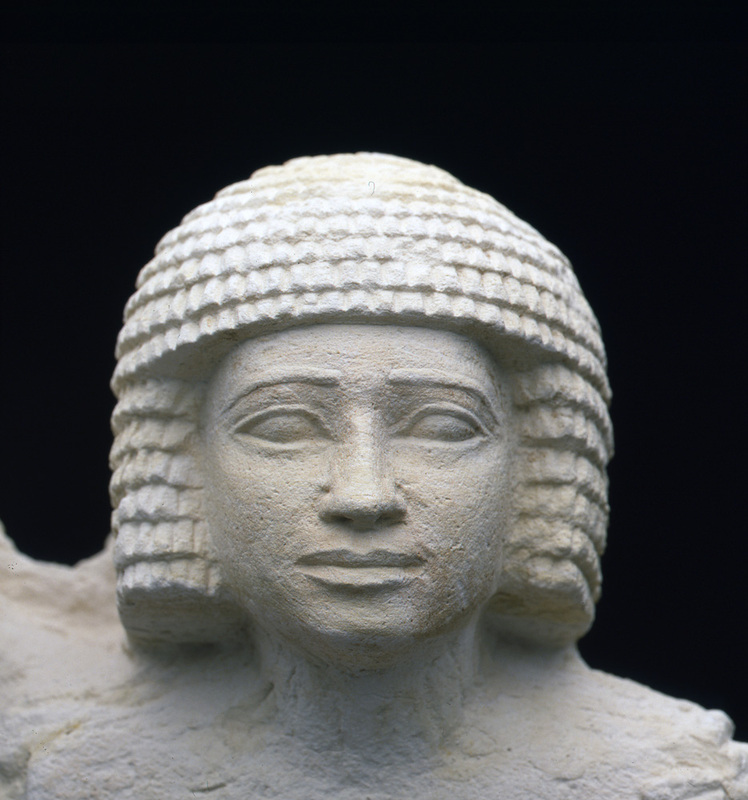 However, the larger figure of Rashepses which appears completely adult and could be mistaken for a husband of Pepi (indeed, see above) requires the label "her son" to make clear his role in the family. 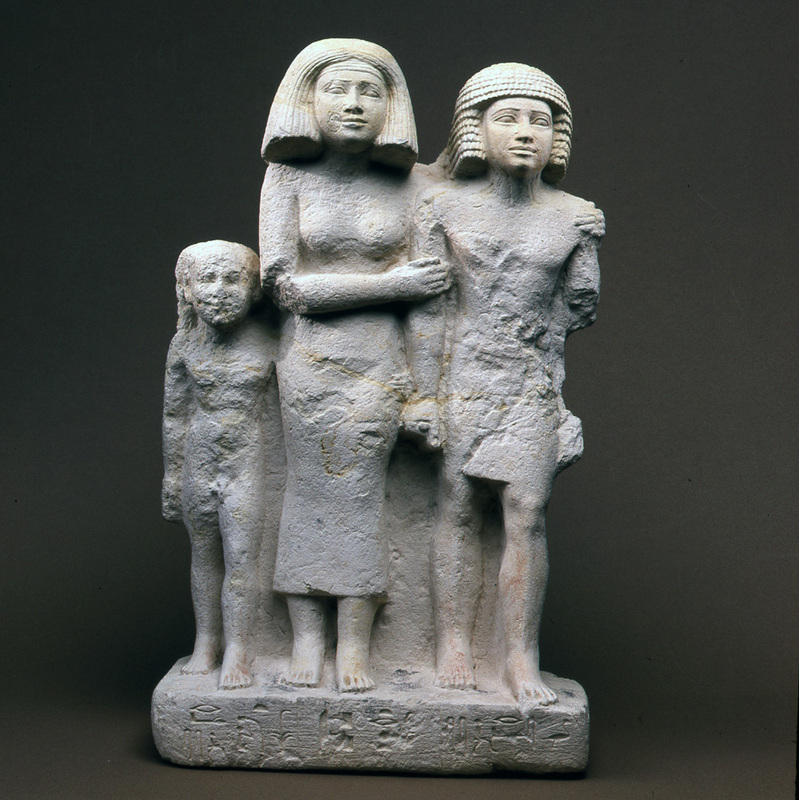 The problem with this interpretation is that the statue is clearly focused on Pepi, rather than her son, and in pseudo-groups the repeated figure is most often the statue owner and most important figure. 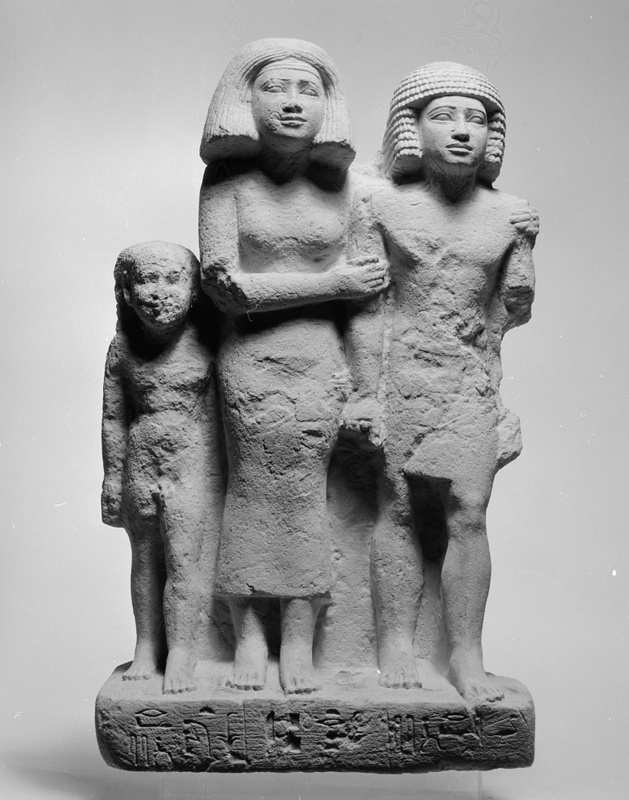 3) Pepi, with her TWO sons, both of whom are named Rashepses. 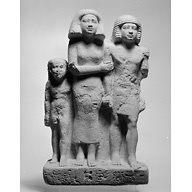 This giving more than one child the same name is not that unusual, although it is by no means the norm in the Old Kingdom. 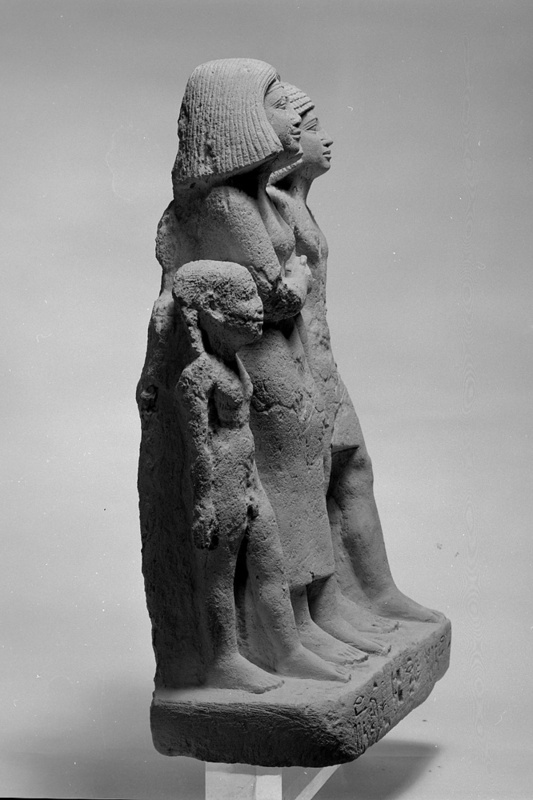 In that case, the reasoning used above holds true (the child figure does not require [sA=s] because it is clear that he is a son, while the adult figure needs the label for clarity). 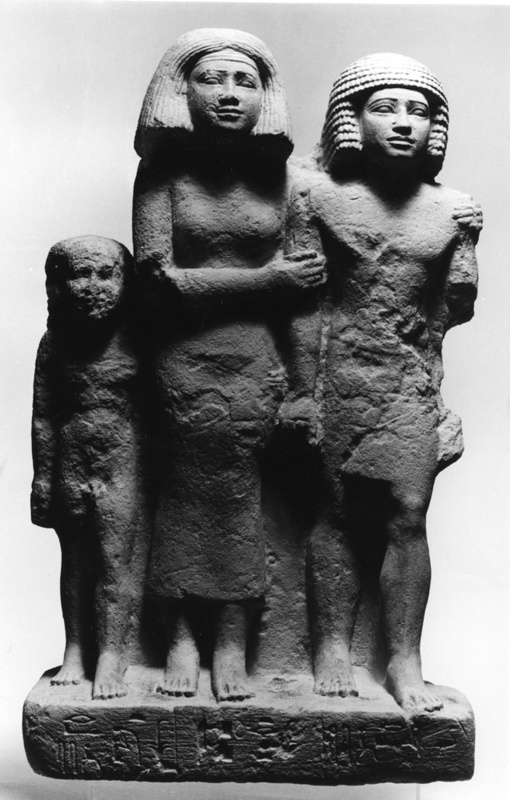 SInce it is hard to believe that a wife would be shown in the center of a group statue towering over her husband, or that she would have such an important position in a pseudo-group where her son was the duplicated figure (and hence, probably the commissioner of the piece), it seems most likely that Pepi was the dedicator of the piece, which would explain her depiction with two juvenile sons and why she was the main figure of the group.